The Chainsmokers are two guys that you probably won’t stop hearing about for awhile. So I wasn’t surprised to learn that there is yet ANOTHER remix of one of their songs. There’s so many these days that I honestly felt pretty indifferent about the remix before I even listened to it. 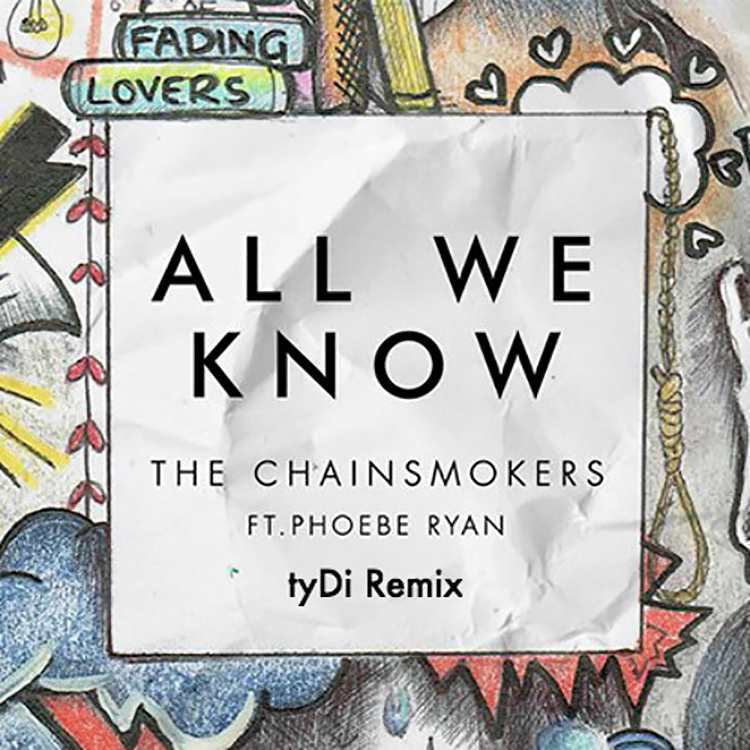 But I gave it a chance and this remix of “All We Know” by tyDi pleasantly surprised me. Full of punchy kicks and vocal chops, tyDi gives the song a classic house sound that I really appreciate. On top of that, there is what sounds to me like a symphonic orchestra playing in the background. It’s barely noticeable but it adds a certain je-ne-sais-quoi to the song. The remix is produced so beautifully, and I actually prefer this over the original. Check out the track below!